Construction noise and vibration impacts can have a debilitating effect on noise sensitive receptors in the vicinity of an active site, ranging from noise nuisance to health effects and structural damage to buildings. Dragonfly Consulting has operated on a number of varying sites over the years, working alongside construction teams and local authorities to provide an agreed monitoring methodology, risk assessment and suitable action levels within a wider Construction Environmental Management Plan (CEMP) in order to satisfy the noise and vibration requirements or planning conditions imposed upon the site. 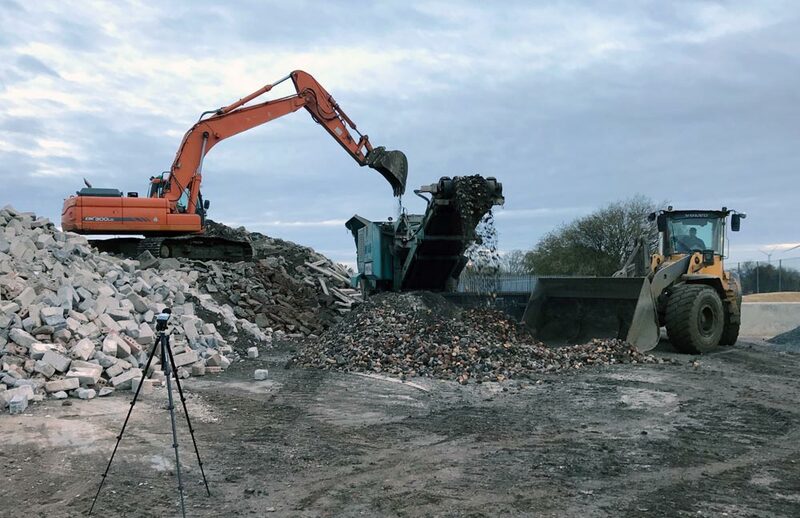 The generation and deposition of environmental dust may be an inevitable consequence of some industries such as quarrying, mining and mineral processing. Other operations such as landfill, demolition and agriculture can also lead to dust generation. This dust can fall a short distance from its origin or, dependent on prevailing weather conditions, can be carried a long distance from the site. This can result in dust becoming an issue for nearby residential properties (e.g. soiling of clothes hung on a washing line, deposition on cars and dirtying residential windows). Nuisance dust assessments normally take the form of a baseline survey followed by monitoring both during a project, and after completion, in order to indicate whether on-site activities result in an increase in the levels of nuisance dust.